Hello, sweater weather and hello to our newest MAKER. 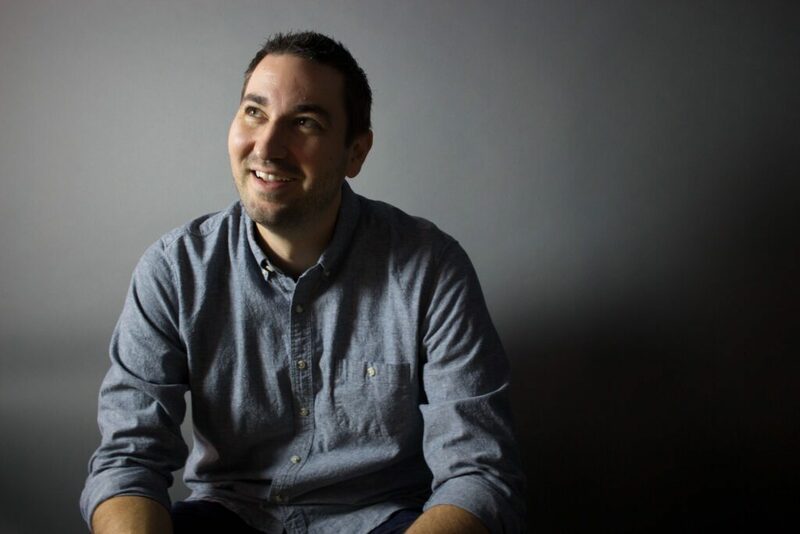 Meet Ryan, MAKE Digital Group’s Interactive Experience Designer! Ryan has only been in the Kansas City area for 9 years, but he’s a Kansas born, Midwest native – his love for K-State sports would probably tip you off in a quick convo. Ryan gained amazing experience before joining MAKE, first by working with National Instruments in development and more recently, Sprint for the last 9 years – working in developing, product management, and user experience, while he was there, means he’s kind of awesome at everything. Even though he started his career and even got his degree in computer science, the creative side of work has always been where he’s drawn, which is why we’re excited to have him joining the team as our user experience designer. With an eye for design and a head for translating design to development, Ryan is already making it happen for the MAKE team. So, when he’s not writing, designing, developing or doing photography (we weren’t kidding about him being a jack of all trades) Ryan enjoys KC’s big-league sports town perks by keeping up with the Royals, Chiefs, Sporting KC, and of course, K-State, his alumni. Finally, aside from keeping up with his KC sports, visiting all the city has to offer with his family, from our awesome museums to our world-class zoo, is his favorite part of being in Kansas City. It’s Ryan. Would I lie to you? Since most of my childhood was occupied by sports of one variety or another, I answered to “Hannebaum,” “H-bomb,” and “Hanny” possibly more than my given name. But if you go that route, I may have flashbacks to a coach screaming in my face, so “Ryan” is the safer play here. In-office disc jockey on Tuesdays and Thursdays. When I’m not spinning mad beats, I act as a multimedia designer, whipping up digital experiences in the form of websites, animation, motion graphics, associated branding material, random and contextually irrelevant movie quotes…you know. Push the envelope and test the waters of animated content on the web. I’ve lived through the no-holds-barred cage fight between IE and Netscape Navigator. I designed sites that had to have “frames” and “no frames” flavors. I saw the rise of Flash. I’m seeing the fall of Flash. Now I’m all in on helping craft the next episode (credit: Dr. Dre). Let’s get past the desktop + mobile + tablet + cave drawing discussions and move on to the holographic projections Star Wars promised us. …Oh, and I love basketball and freedom too. Kraft Mac ‘n’ Cheese. Same as everybody else. I was fortunate enough to live in Prague at one time and travel throughout most of Europe, and I’d go back in a heartbeat. But aside from that, I love to relax and just read by a resort pool on my vacations. I feel no shame whatsoever about being the laziest person on earth when I’m on vacation. Isn’t that kind of the point? It’s the fall or winter and K-State isn’t currently sucking at basketball and/or football. Inventing the lightbulb. Seriously, could you imagine? Just chillin’ in your basement, tinkering around, and you finally get the bulb to turn on. It hits you that you just created a timeless metaphor for when someone has a good idea. Oh, and a new light source. I love movie trailers almost as much as the movies themselves. I think movie trailer creation is an art separate from that of filmmaking in general. There have been some pretty horrific movies sprinkled across the modern motion picture timeline that had amazing trailers. And I’d almost prefer that to the inverse…you know if it weren’t for the fact that trailers are free and movies cost $279 per ticket nowadays.